A Bench of the Supreme Court comprising of Justice Surinder Singh Nijjar and Justice A.K. Sikri today, while deciding a Special Leave Petition emphasized on mediation as a new dimension of access to justice. The Court emphasized the need for early resolution of disputes, in cases such as the present one which involve coalition between two parties, intended to achieve unparalleled milestones, in order to stop the negative factor from growing and widening its fangs which may not be conducive to any of the litigants before the Court. The Court noticed that the main proceeding was the Co. Petition filed by Ms. Sonia Khosla under Section 397-98 of the Companies Act before the Company Law Board, where issues relating to the affairs of the Company were to be thrashed out. However, the seeds of mutual distrust and lack of faith gave given rise to more than 80 cases being pending between the parties in question. Most of these didn’t even touch the main dispute, as observed by the apex court. 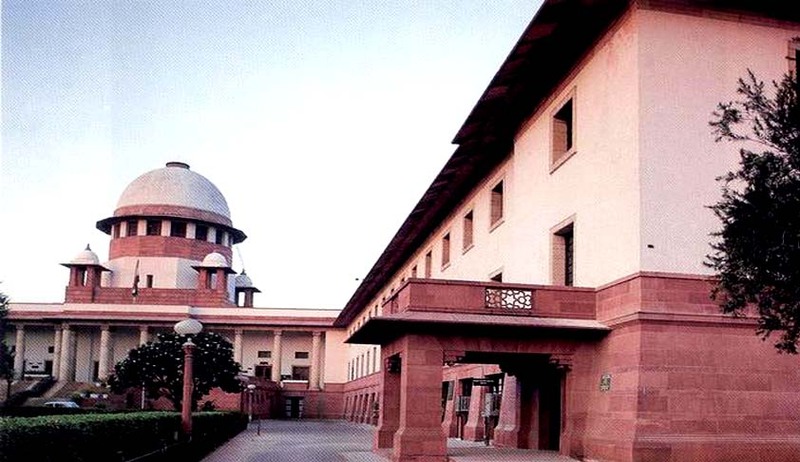 The Court hence pointed out that it would have been more appropriate for the parties to at least agree to resort to mediation as provided under Section 89 of the Civil Procedure Code and make an endeavour to find amicable solution of the dispute, agreeable to both the parties. In the Court’s view, what is required is resolution of dispute at the earliest possible opportunity and via such a mechanism where the relationship between individual goes on in a healthy manner. Mediation is a mechanism of Alternative Dispute Resolution System and resolves disputes in a private, fast and economical way. The Court explained that it is a process in which a neutral intervener assists two or more negotiating parties to identify matters of concern, develop a better understanding of their situation, and based upon that improved understanding, develop mutually acceptable proposals to resolve those concerns. It embraces the philosophy of democratic decision-making. The Court added that, there is always a difference between winning a case and seeking a solution. Via mediation, the parties will become partners in the solution rather than partners in problems. The beauty of settlement through mediation is that it may bring about a solution which may not only be to the satisfaction of the parties and, therefore, create a win win situation, the outcome which cannot be achieved by means of judicial adjudication. While emphasizing that it leads to a state of peace in the society, the economic, commercial and financial benefits for the growth and development of the country were also underlined. The bench was of the firm opinion that it is one of the best forms, if not the best, of conflict resolution. According to the Court, it is mediation through which the parties can communicate in a real sense with each other, which they have not been able to do since the dispute started. It is mediation which makes the process voluntary and does not bind the parties against their wish. It is mediation that saves precious time, energy as well as cost which can result in lesser burden on exchequer when poor litigants are to be provided legal aid. It is mediation which focuses on long term interest and helps the parties in creating numerous options for settlement. It is mediation that restores broken relationship and focuses on improving the future not of dissecting past. It is based on an alternative set of values in which formalism is replaced by informality of procedure, fair trial procedures by direct participation of parties, consistent norm enforcement by norm creation, judicial independence by the involvement of trusted peers, and so on. This presents an alternative conceptualization of justice. The Court purposely stated the advantages of mediation process, in a hope that if not now, in near future the parties may agree on exploiting this mechanism to their advantage.